At Pathway, we’re obviously big believers in insurance brokers using technology to retain and renew more customers. But, without offering an integrated tool to make the renewal process quick and painless for brokers, we secretly felt like something was missing from our family of products. That’s why we’re pleased to officially announce the launch of CSRMate–the first digital renewal system for Canadian insurance brokerages. Like all Pathway products, CSRMate fully integrates with our clients’ existing business management systems (BMS). But, unlike any other product on the market in Canada for insurance brokers, it automatically generates and sends renewal letters via email and maintains a complete audit trail that allows brokers to see who opened and clicked on the emails–mitigating errors and omissions. One of the common complaints we hear from CSRs is how many hours they spend manually preparing renewal letters. In fact, at some brokerages, CSRs estimate they spend up to 25 percent of their time on this essential yet repetitive task. CSRMate uses the power of robotics process automation to pull client data directly from the BMS into a customized client renewal letter. This automated processing goes a long way in eliminating the errors and lack of consistency that can come with manual preparation of renewal letters, and it does it in a fraction of the time it would take a CSR to create the same letter. We’re talking what took hours can now literally take seconds. Imagine how much time and money a tool like that could save your brokerage? Actually, you don’t have to imagine it, you can use our helpful calculator to see exactly how much CSRMate can save your brokerage in labor hours. If you currently send email newsletters to your clients in lieu of printed ones, you already know what a cost savings email offers over paying for printing and postage. Now imagine, you can transfer those same savings to your client renewal letters. You probably don’t need our Go Paperless and Save Calculator to know that the money you would save your brokerage is reason enough to take your renewal process digital. One of the limitations of printed renewal letters, is you can’t always verify whether your client received, opened, and read the renewal letter you sent. With CSRMate, you have a clear audit trail that lets you know when the email was sent, delivered, and opened. You can also track whether the client downloaded any documents you make available like a policy. 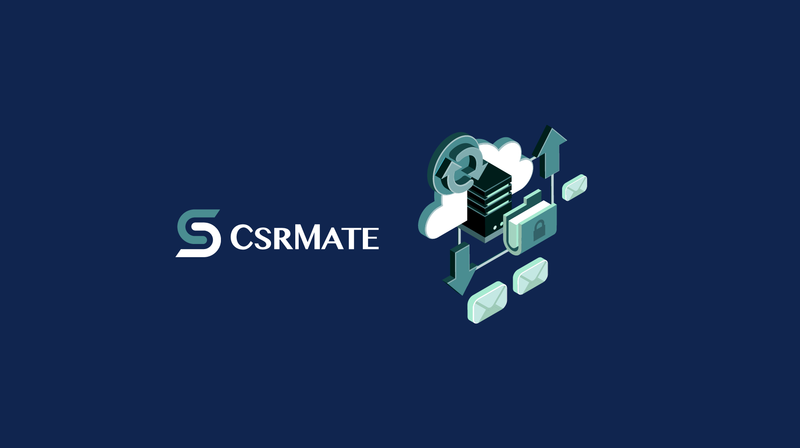 One of the most exciting features about CSRMate is that it offers brokers the option of securely delivering insurance policies to their clients within the renewal letter. Clients simply click on an embedded download button. They are then directed to a secure site with bank-level security protocols that verifies their identity before giving them access to their policy. This secure approach prevents identity thieves from intercepting sensitive client information while giving your clients quick and easy access to their policy. With CSRMate handling renewal letters for your brokerage, your CSRs will have more time available to spend on adding value in other areas. Think of all the customer service projects that have been on the back burner for some time now. How much more productive would your brokerage be, if your CSRs could now turn their attention to those initiatives? Now that you know what an asset CSRMate can be for your brokerage, would you like to see it in action? Schedule a demo with us now so you can get started streamlining your renewal process this month.